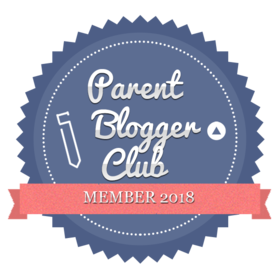 Welcome to another instalment of my Meet The Blogger series, designed especially to help you discover some new and exciting blogs to follow. This week’s feature is all about Marina from Marina Writes Life who posts about all things beauty – check out her blog photos, they are just amazing! I hope you enjoy learning about the lady behind the blog as she answers my Meet The Blogger questions. My name’s Marina Rosie (well, essentially that’s already a lie – It’s Marina Rosee, but the double ‘e’ situation can be very annoying so I thought I’d keep it simple for online purposes) and I’m a 17 year old British Expat living in Western France. I moved over here in 2015 and am currently in college studying Languages, Literature, Philosophy, History, Geography and Music and will begin University in September 2019 (EEK!). Of course, although academia is the main focus of my life at the moment, I have a variety of passions elsewhere, two of them being writing and beauty which, in 2016, I set out to combine and share with the world – Marina Writes Life, my blog, was born! I’ve been blogging for almost 3 years now (by the time this is posted, it will have been 3 years I reckon!) – my first EVER blog post was uploaded sometime in early January 2016, however, due to the cringe factor, I deleted it and a few others last year. I created my blog for two reasons, the first of which being that, when I first moved to Western France, I was incredibly lonely. Not only was I unable to find another child my age outside of my family for miles (we live in the middle of NOWHERE) but I was also unable to speak and communicate with anyone as, at that time, French sounded like pure waffle from my perspective. Personally, I’m not the type of person that can cope with feeling suppressed and bottled up for a long period of time; I soon grew frustrated at my situation and simply had to find some friends that would understand the many words I wanted to express. And those friends are you, the people of the internet, to whom I owe a big thank you for ridding me of my loneliness. The second reason was definitely because of my older sister, who already had a blog herself (although nowadays, with a job AND University hours, she can’t really dedicate any time to it) – I saw the amount of satisfaction and pride she drew from creating content for others and I desired the same thing. My favourite thing about running my blog is, by far, getting to interact with everyone in the comment section – sometimes I get the most beautiful, heartwarming comments about how much people enjoy what I’m putting out and it honestly makes my day. Every time! Here, I’m going to have to be boring and answer the same thing as the last question, as I definitely draw a lot of my motivation from readers who are kind enough to, firstly, give me 5 minutes of their day to read each week and then follow it up with some positive feedback/suggestions – the fact that people think my blog is even worth their time gives me enough of a boost to carry on. Admittedly, the most challenging part of my blogging journey has been (and will probably always be) time management as, being a full time student, I have SO much going on at all times, which leaves me exhausted and lazy yet up to my EYEBALLS in work; sometimes blogging has just got to take a backseat. However, I’m determined to change that within the coming year and use my time more effectively (i.e No more month long breaks – sorry). My blog in four words? Hmmm – Crazy, funny and in depth. And, trust me, the readers would agree! Night In, I’m far too lazy to go out! Ketchup, all day long – it goes with everything! Winter for sure – I’m immune to the cold and I love a good snowball fight. Tea, whether it be iced, green or herbal – OBSESSED. Chinese, as it’s such a diverse cuisine – there are so many amazing dishes to choose from! Definitely dog, I have 2 myself, they’re adorable! This was probably the hardest question of all but I’m going to have to go with savoury, thanks to my Tangy Cheese Dorito addiction. I’d like to say a massive thank you to Marina for taking part. Check out next week’s post as I welcome another fabulous blogger. What a fine interview. What a fine blogger. What a fine blog. Totally in love with it! Aww thank you for taking part Marina it was a pleasure to share your wonderful blog!